I've got about 11 trays in use at our home. Seriously, I counted, and only 2 are used for food & drink. The rest are for organizational purposes. To say that I have an obsession with trays is an understatement. I even found one the other day, but I just couldn't justify buying something for myself when we've got loads of Christmas shopping to do for others. Well, today just happens to be my lucky day because I came across an extremely simple yet fabulous DIY project that I think will ease the pain that I felt from giving up the tray that I found the other day. 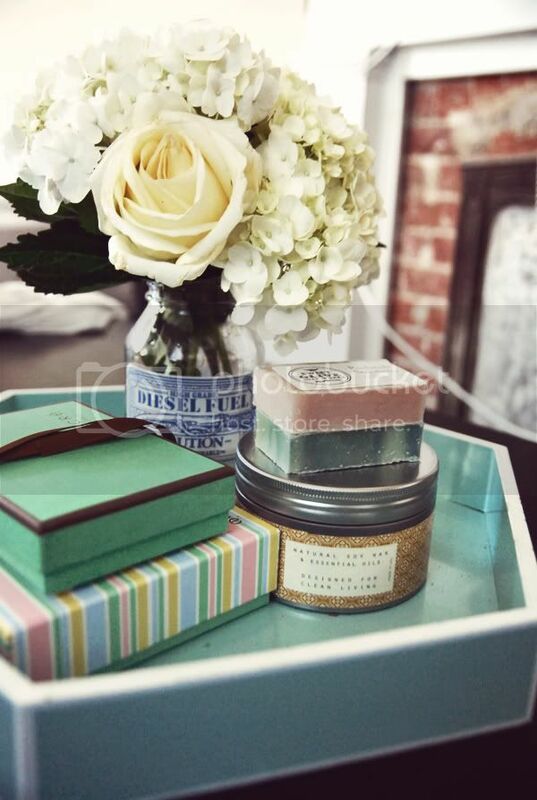 Sanity Fair has this easy peasy DIY project to customize your own lucite tray. She even used leopard print paper which is the exact print that was on the tray that I wanted! I've got some leopard print wrapping paper (picked it up along with a few other glamorous wrapping paper rolls) that I'll be using in this DIY project. Now I just need to head to the Container Store to pick up a lucite tray and I'll be all set for creating my own leopard print lucite tray! I'll be sure to share my finished work as soon as it's done! In the meantime, enjoy some of these elegantly styled trays that just make me smile.